Sustainability is vital to the survival and diversity of biological systems. As our population grows and our cities swell, the running of sustainable households and industries is becoming evermore important. An initiative funded by the NSW Regional Science Grants Program is instilling these values in the younger generations. During National Science Week, Gunnedah South Primary is hosting a Science Festival Day, which brings together local schools and leading industries. Based around the theme of sustainability and innovations, there will be a series of public presentations and workshops, designed to challenge the students’ thinking, and connect them with scientific experiences. Peter Starr (yes that is his real name) from the Warrumbungle Observatory will talk about how he uses a range of telescopes to show off the wonder of the Australia’s night sky to eager tourists and school students. He will also explain how these telescopes can be controlled remotely by overseas astronomers, who use them to conduct research and for astrophotography. Those with an interest in geology will enjoy meeting Elsie Gretton from Boggabri Coal, as she talks about her experiences working on exploration rigs. And ever wondered how the cotton in the fields becomes the shirt on your back? Trudy Staines from CSIRO will present the process of ‘field to fabric’. With 20 years of experience in the Cotton Industry, she has a passion for inspiring students to take on careers in agricultural science. The festival day will include the surrounding schools of Tambar Springs Public, Mullaley Public, Premer Public and Carroll Public. Parents and community members are also invited to share in what will be a fun and exciting day out for our budding future scientists. 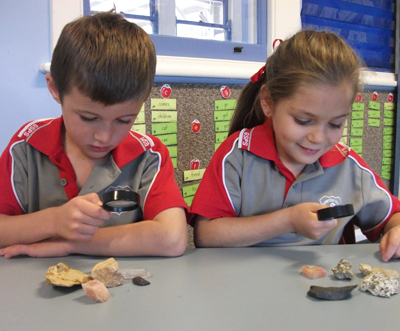 “We hope to inspire students’ to develop a love for science and a passion for learning about the world around them,” said Marianne Pankhurst, a teacher at Gunnedah South Primary. Ms Pankhurst said the festival will provide students with an opportunity to connect with science experiences that challenge their thinking and promote innovation. For more information contact Marianne Pankhurst, Teacher, Gunnedah South Primary.